Explore the city’s parks, visit diverse museums, dine at great restaurants, plan a wedding at one of the unique venues, and go on free, unique family adventures on your weekend trip to Raleigh, North Carolina. Art lovers can spend a morning at the North Carolina Museum of Art which houses works of art from around the world. Other fun things to do in Raleigh, NC include food tours, pottery classes, and chocolate factory tours. 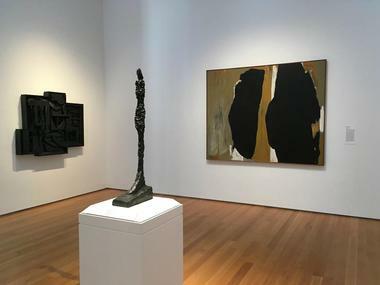 The North Carolina Museum of Art started out with 74 paintings donated by local businessman Robert F. Phifer and is one of the best things to do in Raleigh. Today, the museum has an impressive permanent collection that includes major European Renaissance paintings, Egyptian funerary art, sculpture and vases from ancient Greece and Rome, American art and international modern art, pre-Columbian and Oceanic art, and so much more. More than a dozen oversized art pieces are located in the museum’s park. The establishment also hosts numerous temporary exhibits, lectures, classes, performances and concerts. The museum aims at inspiring teen’s creativity through online courses in Art of Game Design, Art of Fashion, and several other programs through the North Carolina Virtual Public School. 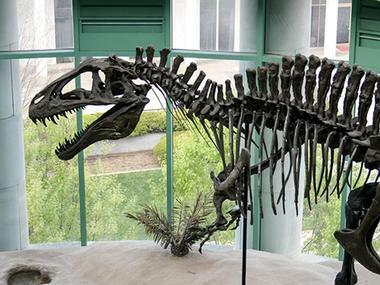 The North Carolina Museum of Natural Sciences is the largest natural history museum in the Southeast and one of the top Raleigh, North Carolina attractions. The museum showcases a range of permanent collections and regularly changed special exhibits, live shows, and nature films for all ages. The museum’s goal is to offer visitors an opportunity to learn more about nature and science and their place in it. More than a million people visit the museum’s huge campus every year. The museum’s various rooms can be rented for an unforgettable birthday party any kid would love. Opened in 1902, the North Carolina Museum of History features an artifact collection that consists of more than 150,000 items. The Museum has a large 55,000 square foot gallery that houses permanent and temporary exhibits, a research library, a number of classrooms, and a large, well-equipped 315-seat auditorium. One of the main permanent exhibits is The Story of North Carolina, the largest exhibit ever produced and displayed by this Museum. Using items of everyday life, the exhibit traces the everyday lives of North Carolina inhabitants, covering more than 14,000 years of history. This multimedia exhibit includes not only fascinating artifacts, but it also displays dioramas, several presentations, and interactive activities. If you are looking for things to do in Raleigh, North Carolina with kids, this is a great place to learn about history. The Museum also shares its treasures through a number of traveling exhibits. Online exhibition is a part of the distant education program. 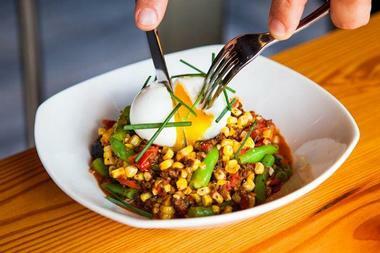 Don't miss the opportunity to experience Raleigh’s culinary delights in a truly unique way. Taste Carolina Gourmet Food Tours' knowledgeable local guides take you on a walking tour of some of the best downtown restaurants and food shops. The chefs will tempt you with their signature dishes and favorite drinks, all the while sharing a bit of the town’s history and architecture with you. You better bring your appetite. Public afternoon and evening tours are available on weekends, and private and corporate tours can be organized any time (919-237-2254). The locals call the Joel Lane Museum House “the birthplace of Raleigh, the capital of North Carolina.” Plantation owner Joel Lane built his house in 1769 in, for that time, a rural area of North Carolina. During his time, Joel Lane’s plantation manor was considered “The Best House for 100 Miles.” It has been faithfully restored and is now an important historic site that takes visitors back to very different times. The House is owned by the National Society of the Colonial Dames of America in the State of North Carolina. It hosts frequent events such as lectures, videos, and guided tours, and it can be rented for special occasions. Imagine having a birthday bash in the elegant Museum House gardens! 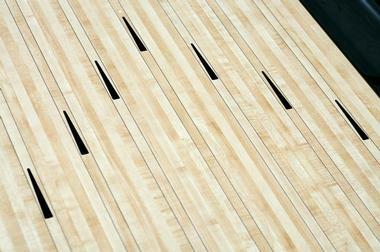 More places to visit: 20 Best Things to Do in Charlotte, North Carolina. Stanbury is a hip, modern neighborhood restaurant located in a charming old building in the Mordecai neighborhood not far from downtown. The décor and ambience are sure to make you feel welcome; upon entering you’ll see wooden tables, a large bar, and a bustling open kitchen where all the magic happens. The main restaurant room is often packed with happy customers: word about Stanbury’s outstanding food has gotten out. 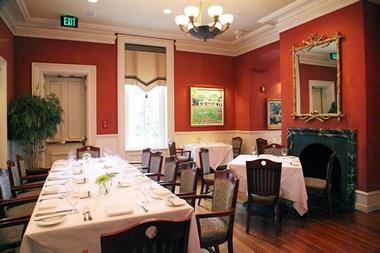 The menu changes daily and features dishes made with fresh, seasonal, and local ingredients. You’ll notice that the chefs have taken an adventurous approach to American classics. Stanbury is famous for its imaginative cocktails, but the bar is also well stocked with a good selection of wines and beer. The restaurant also has an outdoor patio for al fresco dining. 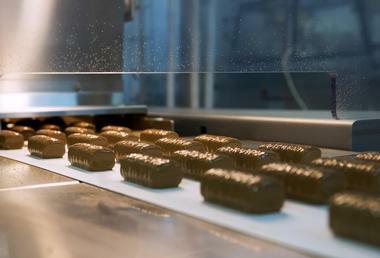 At Videri Chocolate Factory, you can get some of the best chocolate in North Carolina. The factory operates from the historic Raleigh Depot building, which still has most of its industrial charm – you can see the exposed brick and ductwork. You will also be able to watch the entire chocolate making process. Stop by the shop where you can stock up on chocolate for later or you can relax on their lovely outdoor patio. If you are looking for things to do in Raleigh to satisfy your sweet tooth, this is a great place to visit. The factory is the brainchild of three true chocolate lovers – Sam and Starr Ratto and Chris Heavener. They are committed to fair trade and purchase their cocoa beans and sugar from farms in Central and South America. The resulting chocolate is organic, pure, and free of any additives or chemicals. Try Blueberry and Dark Chocolate or the Strawberry Anise Ganache. After a trip to Videri, you will never see chocolate in the same way. 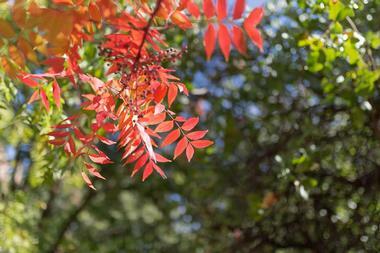 Strolling through the JC Raulston Arboretum at NC State University is a delight for all your senses. Whether you are enjoying the shade in the Asian Valley or breathing in the sweet of aroma of annual and perennial blooms in the Color Trails garden, you will wish to have more time to explore. JC Raulston Arboretum features one of the most diverse and largest collections of plants adapted for landscaping in the Southeast. 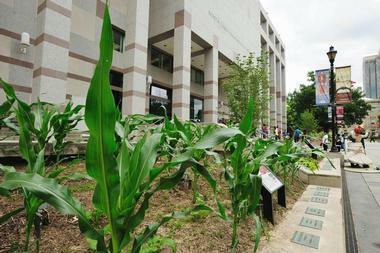 The Garden has also been recognized as one of the best teaching gardens in the Southeast. In fact, many of the gardens are designed and maintained by students and volunteers. Garden also hosts symposia, lectures, family events, summer camps, and other events for the entire family. Sassool is an authentic Mediterranean and Lebanese cafeteria-like eatery and market where you can pick up a quick piece of pita on the go, or you can relax and really enjoy the rich flavors at one of their outdoor tables. An attached Mediterranean grocery sells authentic spices, dried fruits, seeds, and nuts. And, of course, they have fresh pitas, breads, and desserts like baklava that will have you coming back for more. 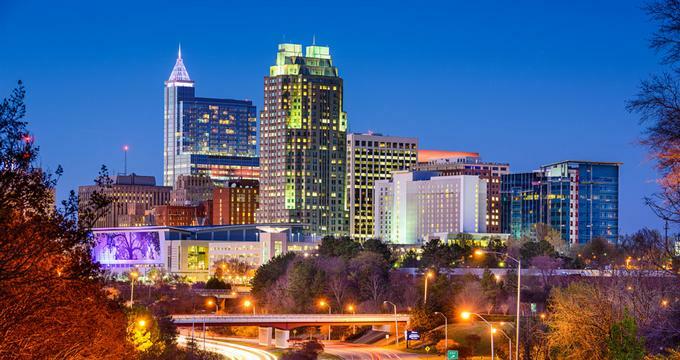 If you are looking for romantic date night ideas in Raleigh, this is a great place to visit. 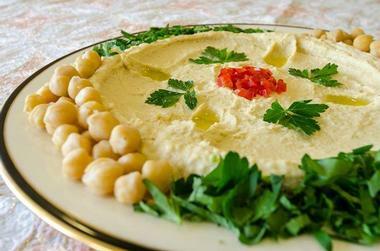 If you aren’t familiar with Lebanese cuisine, try a sampler platter. You’ll get a taste of hot grilled kabobs with labneh and kalamata olives in a hot whole-wheat pita, everything bursting with flavor. Sassool serves many vegetable dishes, and is heavenly for vegetarians. 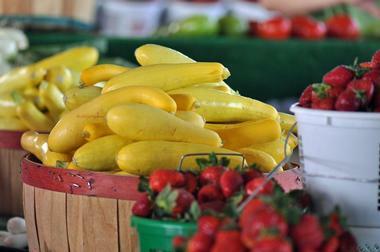 Raleigh Farmers Market is not to be missed. You will find everything here: fresh seasonal produce from all over the country, cheeses, meats, baked goodies, crafts, picture frames, candies, soaps, lotions, and, of course, N.C. wines. There are 75 beautiful acres to explore, and about 225,000 square feet are covered and climate controlled. There are also several restaurants where you can eat, rest, and replenish energy. You won’t want to miss some of the special events organized at the Farmers Market, including Watermelon Day on July 30, Weekend Gardener Show in August, Sweet Potato Day in September, and so many others. Check their calendar, because something new is happening all the time. Tazza Kitchen is a modern, stylish and spacious restaurant where patrons are greeted with delicious aroma of sizzling meat, garlic, and wood fire. A lively and friendly atmosphere with casual bistro-style seating makes you feel right at home. The food and wines are superb, and the prices are reasonable. The menu showcases dishes inspired by the cuisine of Italy and Baja California and the ingredients are sourced from well-known farmers and food artisans, many of whom are local. Chefs Justin Burchill and Jared Dalby create many dishes using wood-fired cooking. Entrees are accompanies by small-production wines and unique local brews. The chefs are highly environmentally conscious and utilize hormone and antibiotic-free meat and poultry, as well as sustainably harvested seafood. 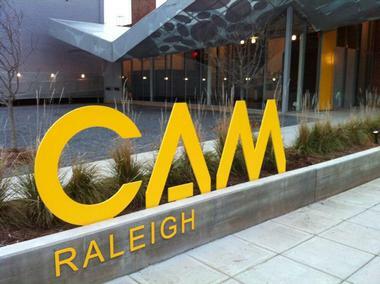 The Contemporary Art Museum of Raleigh is a private contemporary multimedia art gallery in Raleigh, North Carolina. The gallery does not have a permanent collection; rather, its goal is to seek contemporary artists and present their best works through constantly changing well-curated exhibits that are fresh and representative of what is going on in the city’s art world. The museum works with North Carolina State University’s College of Design and occupies 20,000 square feet of space in a downtown 1910 repurposed warehouse. Some of the most notable exhibitions organized at the museum showed works by Angel Otero, Jonathan Horowitz, and Marilyn Minter. Morgan Street Food Hall is a trendy new food and venor hall in Raleigh's Warehouse District, opened to the public in August of 2018. The food hall offers 20,000 square feet of shared dining area, allowing diners to choose from nearly 20 hip and inventive independent food stalls serving up a variety of international cuisines. 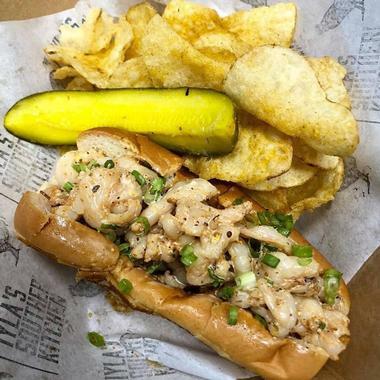 Dining options include comfort food restaurant Iyla's Southern Kitchen, Indian joint Curry in a Hurry, Cuban cookery Maku's Empanadas, and Thai-style rolled ice cream parlor Raleigh Rolls. Unique beverages are also served at stalls such as Boba Brew, which imports authentic bubble teas. In addition to restaurants, a number of vendors sell pantry and home goods, including Huntington Provision Co., Mike D's BBQ, Fancy Berries, and the Five Points Baking Company. The Go Ape! Treetop Adventure Course will probably take you out of your comfort zone, get your adrenaline pumping, and it might even make your muscles sore by the end of the trip, but you will spend 2-3 fantastic hours you will never forget. It is a truly unique outdoor experience that will allow you to see the Blue Jay Point Country Park the way squirrels do – from high up in the air. Before the adventure can begin, you’ll get half an hour of safety briefing before strapping up in a harness and going on the thrill ride of your life. The course offers not only a canopy tour, but climbing rope ladders, 2 Tarzan swings, crossings the Log Swing, Double Stirrups, Spider’s Web, Apple Picker’s Ladder, and 5 zip lines. The course is open, and considered safe, to adventurers of all ages, from school kids to retirees. Group courses are also available (Phone: 800-971-8271). Upon entering Jose and Sons Bar & Kitchen, a sign proclaiming “Hola Y’all” will greet you, setting the tone for your visit. That sign foretells the wonderful blend of Mexican and Southern inspired cuisine that peppers the menu. The teal and red walls and the various milk jugs and depictions of roosters are all reminiscent of Mexico, and they help create a cozy, lively, and warm atmosphere. 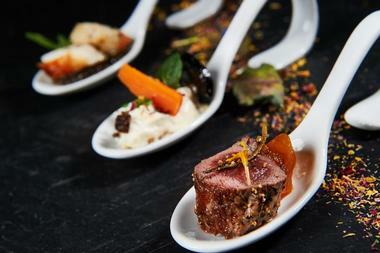 The food is an imaginative medley of flavors that has food critics raving. The Ibarra brothers, who are proud to celebrate their Mexican heritage and their father Jose’s love for food, own and run this popular restaurant. The animated bar with a bourbon and tequila tower right in the middle of the restaurant is a local favorite. 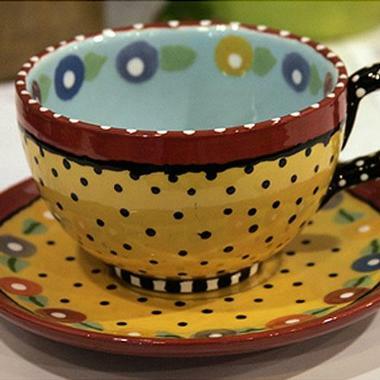 You do not have to be a pottery master to make your own mug or a heartfelt, homemade gift. At Klaystation pottery studio, you can choose from among hundreds of pre-fired earthen ware and all the tools of the trade: paints, brushes, idea books, sponges, or whatever else you might need to create that masterpiece you knew you had in you. They will glaze your work of art, fire it for you in their kiln, and you can pick it up in about a week when it’s ready. Klaystation is great place to bring kids on a rainy day, or you can organize a birthday party that they will never forget. The Green Light in downtown Raleigh is a bar within a bar that Architectural Digest voted one of the country’s best speakeasies. 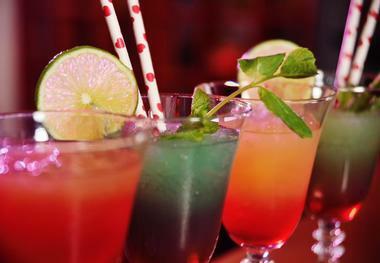 To go have a drink in this funky place, you have to know where to look. Its entrance is hidden behind a bookcase in the Architect Bar in downtown Raleigh, and up a narrow set of stairs. Once you are there, you will find yourself in a quirky place with walls covered in reclaimed wood, serving the arguably best cocktails in town. The bar reflects the character of the 1922 building in which it is located, cozy, stylish, and unique, with dim lights, great music, superb cocktails, and a lineup of craft beers. Mordecai Historic Park was established in 1785, and at the time, it was the site of the biggest plantation in Wake County. 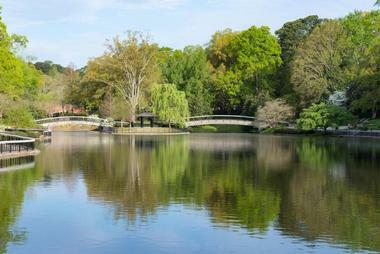 The park resides on 3.2 acres in the center of downtown Raleigh. The Mordecai House is a celebrated town landmark and is famously known as the birthplace of America’s 17th President Andrew Johnson. 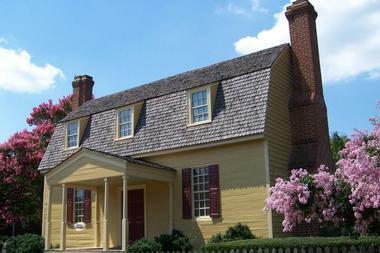 It is today the oldest house in Raleigh still standing in its original location. One of its popular attractions is the 19th century kitchen garden that has been faithfully recreated based on letters and memoirs left by Ellen Mordecai. Historic Raleigh Trolley Tours that operate every Saturday begin and end at Mordecai Historic Park and run for about one hour. More vacation spots: 20 Perfect Weekend Getaways in North Carolina. Whether you are having lunch or dinner at the Second Empire, you’ll want to dress your best, because dining in this 121-year-old meticulously renovated building is a rather elegant affair. Crystal chandeliers are scattered across the ceiling, the room features an ornate fireplace, and the tables are set with damask tablecloths and fine silverware. The food is just as enticing. Chef Daniel Schurr carefully prepares and serves incredible delicacies that match the refined elegance of the surroundings. The extensive wine list will delight wine lovers, and you certainly won’t have trouble finding just the right vintage for your meal. If you prefer eating in a more relaxed atmosphere, visit the cozy brick-lined Tavern, which is located in the same renovated building. The menu is lighter but all the dishes are of an equally high quality. The Tavern always has a large assortment of beers on tap. You also might want to try one of the bartender’s famous martinis.